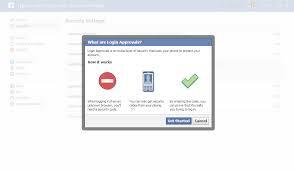 Facebook's Two-Factor Authentication, How to Activate it? Scott Dickens, Product Manager at Facebook told " Two-factor authentication is an industry best practice for providing additional account security and we just made it easier to set up." This Two-factor authentication uses alternative, hardware dependent authentication process, wherein mobile number would not be required for verifying the account. For instance, Google Authenticator uses HOTP and TOTP algorithms for generating one-time passwords, which can be used to authenticate the Facebook account. It can also include a QR code based verification and can work without any Internet coverage as well. Step 2: Click ‘Security and Login’. Step 3: Click ‘Use two-factor authorization’, and get started.